We hope you are excited to start! 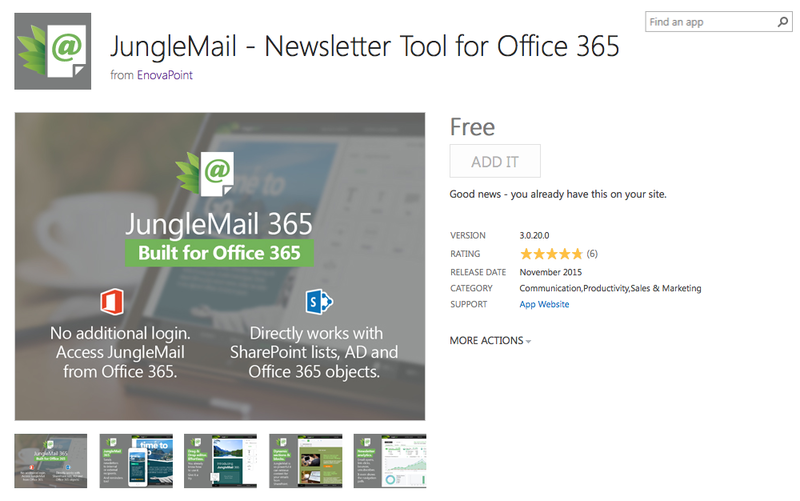 But, before you can create your first campaign you will have to install JungleMail for Office 365. This tutorial will guide you through the quick and easy installation process. 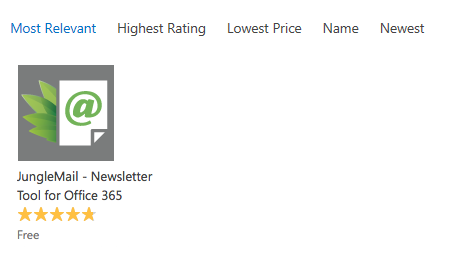 Note: if your organization has blocked access to Microsoft AppSource, you can add the app to your sites manually, too. Click on the gear icon to open site actions menu. 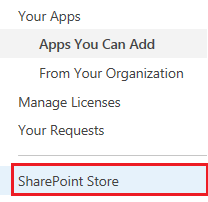 In the Quick launch menu, click SharePoint Store. To find the app, type JungleMail in the search field in the upper right corner of the page. Click on the app in the search results. Click on the ADD IT button on the app page. Accept the app's permission request by clicking on the Trust It button. 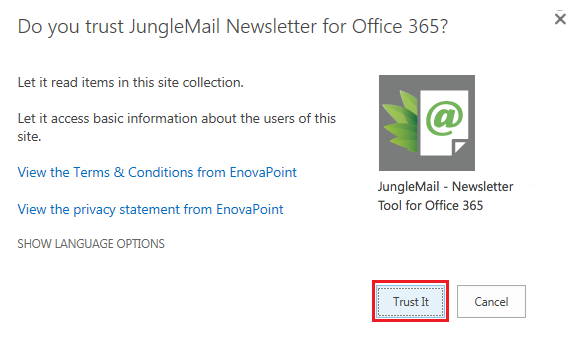 JungleMail for Office 365 app is now installed on your SharePoint site.